There are BIG, exciting things coming to my classroom and I am so frackin’ JAZZED! So, a few weeks ago, my principal forwarded an email from a representative from Donors Choose who encouraged teachers from our school to create a Donors Choose project. Most projects, from what I know, ask for basic supplies, like Kleenex, hand sanitizer, Clorox wipes, pencils and such, or larger luxuries, like a class set of iPads or something. I’m eternally lucky in that my school offers me some supplies annually; I have generous family members and student parents who help with tissues and hand sani; my school is one-to-one, so all kids have their own Chromebooks. Thus, I don’t need much. However, I never stop wanting to be able to offer my students books that appeal to their interests. I’m fortunate in that I have a lot of books, mostly ones that I bought because I wanted to read them, so kids have access to some books, but there isn’t much in terms of diverse topics. I’ve always wanted to be able to offer them easier access to diverse characters with diverse experiences and interests. I’m thrilled when a student shares my interests (I geeked out with a kid recently over the Scythe books! ), but I want to be able to booktalk for athletes, hopeless romantics, drama queens, minority group members, the lost and the lonesome, gang affiliates, eccentrics, academics, and everyone else. On a whim, I created a Donors Choose project, intending to ask for an array of diverse books. They suggested, get this, that projects around $600 (!!!!) get funded most easily. Since I was already on a whim, I just shrugged and went with it. I picked out $597-worth of books from Amazon. My expectations were low but my hopes were high. I posted the project and, again, as suggested, posted it on Facebook, and hoped for the best. Within 24 hours, the project was fully funded. I am eternally thankful to some friends who have loved me since before I was born, some friends who love me in spite of who I was in high school, some friends who love me in spite of who I am now, some new friends from teaching, and some complete strangers. I’m truly beside myself with excitement and I CANNOT WAIT for the kids to be able to get their hands on these books. Look forward to the most epic unboxing post and pics! Have you read any of these? Podcasts are not the Enemy; plus my Top 5! Not in the mood for a rant about our broken society? I feel ya. Skip right on down until you see the pictures. I remember, back in undergrad and before becoming a teacher, I was a bit of a book snob. Getting an English degree, at least in my experience, focused on reading the classics, the foundational texts that inspired all that came after. None of what I was assigned to read in undergrad was considered “contemporary” literature, so to me, this implied that the classics are worth-while and contemporaries are not; classics are meaningful and contemps are drivel; classics are about important things and contemps are about nonsense. It was only once I got into grad school and was forced to read contemporary works that I found several contemporaries that wholeheartedly debunked this absurd theory. The point of this reflection is not to fall down the rabbit hole of classics vs. contemps, but rather to ask another question: why is it that forming a passion for one thing also usually means forming an enemy with another, validated or not? It doesn’t have to be one or the other, or else! I was talking to a bookish teacher friend recently who was recounting an argument he had with friends about the pros and cons of e-readers vs. hard copies. We discussed it at length, both being hard copy advocates, and ultimately realized that our preference was largely based purely on that, preference. Nostalgia. Stubbornness. Not logic. That’s okay with me, since being a teacher SHOULD necessitate going with the flow and using the changing of the times to your advantage. We decided that each option, hard copy and e-reader, has its own benefits and drawbacks, so each has its own time and place for being the rational, logical preference. However, I’ve heard the same arguments being had about books vs. podcasts, as though the two are mutually exclusive. I’ve asked numerous peers about podcasts and regularly get the following responses: 1) That’s really not my thing; 2) I’m way too busy and don’t have time for that; and most commonly, 3) I’d honestly just rather read a book. As snobby stubbornness was once my own language (and sometimes still is, i.e. classic rock is the best music, tea is better than coffee, cake is not that good, etc. ), I understand these arguments, but also offer logical responses: it’s essentially the same thing as radio or t.v., except in your phone, and with a lot more options; podcasts are perfect for a busy lifestyle; books are ideal when you have time to sit down and focus, and podcasts are ideal when you can’t. I think it’s silly to make an enemy of podcasts just because you already know you like books. Again, the two are not mutually exclusive. Let’s not be so stubborn! Rant over. For now. NOW, who’s ready for my top 5?? Lifespan: This one has been around 3 years. Hosts: It’s hosted by comedians Karen Kilgariff and Georgia Hardstark. Frequency: They post a “minisode” every Monday, in which they read listener stories. Those are usually short, half-hour episodes. Every Thursday, they post a regular episode, usually over an hour long, in which they each tell the other a true crime story. Topics: You figured it out, right? Murder. Their conversations sound just like me talking with a friend about the craziest stories we’ve ever heard. They talk frankly about their backgrounds, and experiences with mental health and substance abuse issues. They’re real people. They are very thankful for their listeners and are not just distant, unappreciative celebrities. Some people want their true crime undiluted, or at least not diluted by humor. I know lots of people who find the ladies and their conversations irritating. Sometimes, they get things wrong or just say dumb stuff. Um okay, so do you! Again, they’re real people. I don’t think anyone can just start listening now, without going back to the beginning, without being irritated by their sidebar discussions. Once you “get to know them,” they’re not irritating. Vulgarity. Who cares, though? Not me. Lindsay’s Blurb: When I first got into this podcast, I went all the way back to episode one. It took a few episodes of thinking the ladies were irritating to turn that irritation to endearment. They’re still dumb sometimes, but after listening for 3 years, they feel like friends. When I want pure true crime, I listen to another podcast (later on the list), but somehow, addressing these horrible stories with interjected humor makes death, and all its many methods, less scary. We all worry about it; why not talk about it? Lifespan: This one has only been around for 6 months. Hosts: It’s hosted by comedians Scott Aukerman, Lauren Lapkus, and Paul F. Tompkins. Frequency: They post episodes, usually over an hour long, every Thursday. Topics: Literally anything they want. There is no false pretense about it being educational with a hint of humor. It’s just them talking. They genuinely enjoy each other, so it’s fun to listen in on their conversations. Sadly, that’s kinda it. It’s just an hour of purely enjoyable and funny voyeurism. Technically, it’s pointless. Again, who cares? Since there are three of them, there’s a chance you won’t like at least one of the hosts. I personally don’t like Scott, but the overall conversation is worth tolerating him. It can be raunchy/vulgar. Again, if you care. I decidedly do not. Lindsay’s Blurb: I used to listen to a podcast called Professor Blastoff that featured three comedian friends talking and it was genuinely one of my favorite entertainment sources. It’s been over for a while and I’ve never found anything that gave me that same feeling of friends talking both about things that matter and things that don’t. Threedom is the closest replacement I’ve found to fill that void. It’s a silly depiction of friendship. Lifespan: Seriously, like 10 years? My app wants me to pay for early episodes (not gonna happen), but the farthest I can go back is to 2010. Hosts: It’s hosted by comedians Paul Scheer, June Diane Raphael, and Jason Mantzoukas. Frequency: They post an hour-and-a-half-ish episode focusing on a different movie every other Friday. On the Friday’s in between, they post a prequel episode, but those aren’t very good. Topics: Movies, usually bad ones. It taps into your inner movie critic, making fun of all the ridiculous aspects of bad movies. It’s super funny. I laugh out loud, repeatedly, every time. They have guest comedians regularly, but even without celebrity guests, they are are great trio of friends. There’s a lot of overlapping talking and Jason can be a bit of an attention hog, so if you don’t like Jason, you won’t like this pod. Luckily, I think he’s hilarious. Lindsay’s Blurb: You don’t need to have seen the movie of the week in order to enjoy this podcast. In fact, I can’t think of a single movie that they’ve reviewed that I’ve seen. The goal is to listen to funny people talk about funny things. Mission accomplished! Hosts: It’s written, researched, edited, produced, performed and seemingly everything else by Aaron Mahnke. Frequency: He posts a half-hour episode every other Monday. Mahnke does really thorough research. None of the episodes are simply one tall-tale. He brings in so many related stories that it’s impossible not to be impressed. The stories are often nice and spooky. Not scary; let me be clear about that. Just spooky, like the stories your family always told you about the local hook-handed hitchhiker. SHOUT OUT to Episode 2: The Bloody Pit. I said “Say what? ?” so many times that this ep single-handedly got me hooked. Mahnke. He is gifted at research, producing, writing, etc. However, his voice grates at me. He includes incredibly pregnant pauses (my hubs made the joke that his pauses are at 44 weeks. Lol!) for dramatic effect. He phrases things as though he’s rocking my world with these details and… he’s just not. If you hear one, you’ve heard them all. In fact, I took a hiatus because Mahnke’s voice temporarily irritated me more than the stories entertained me, and upon returning, it was like I’d never left. It’s nice that you can listen out of order, but they all sort of mesh together after listening to a few. EXCEPT FOR EP 2!!!!! Lindsay’s Blurb: Seriously, episode 2 rocked my world and from there, I love that I can turn to “Lore” for good, old-fashioned spooky entertainment. It has also been turned into an animated series on Amazon Prime, which is charming. If you enjoy small-town stories, from near and far, across centuries of oral traditions, you’ll enjoy the heck out of this podcast. Lifespan: These have been going for like 3 years. Hosts: The host is an anonymous Australian. He sounds hot. Frequency: The posting is pretty sporadic, but he usually posts hour-long eps on Saturdays. Sometimes every week, sometimes with weeks in between. I guess that amps up the mystery. The show stays completely serious, none of that MFM friendship nonsense. No personal commentary or anecdotes. If you like your true crime undiluted, this is the pod for you. It seems very well-researched and contains no biases. There aren’t opinions. It’s just a play by play of events, with some well-researched background and contextual information. The Australian accent makes everything better. SHOUT OUT to Case 12: Katherine Knight. This is, bar none, the absolute CRAZIEST story I have ever heard in my entire, true-fiction-obsessed life. It is NOT for the faint of heart, but I just re-downloaded it because I remember screaming “WHAT?? ?” at least a billion times. It’s heavy. It’s just pure horror from start to finish. There are no humorous sidebars to remind you that life isn’t so bad. It’s dark. I think that’s it. Otherwise, it’s dark, dark perfection. Lindsay’s Blurb: These stories are well-researched and very impressively narrated. It can get quite dark, so be forewarned, but it is also purely informational, without humor or biases. Honorable Mentions: “Professor Blastoff” (gone but not forgotten; genuine, effortless humor. I talk about it more here); “Ear Hustle” (featuring, hosted, and produced by inmates at San Quentin prison; “Someone Knows Something” (a filmmaker and writer researches cold cases); “Jensen and Holes: The Murder Squad” (coming soon! These are the guys who helped finish Michelle McNamara’s book about the Golden State Killer. I’m not sure if they’ll discuss other cases, psychology, or what, but I’m ready for April 1st); and that GORGE one-time podcast about which the fans just cannot stop gabbing, “Drinkin’ and Thinkin'” (a friend and I had to make this for grad school and we got really into it. We planned to keep going, but she moved away. Maybe one day we’ll resurrect it, adoring fans). Any other podcasters out there? What are your favorites? Does anyone else love any of my favorites? I remember many many moons ago when my sister (two years my senior) started asking for books for Christmas and I was so disappointed in her. You. So. Boring. And then, as with all the other trends she got into (clothes, cookware, decor, etc. ), there I was, her shadow on a two-year-delay, asking for books for Christmas. Now, I have two literary degrees and teach ELA, so books and book-related things have become a staple in my Christmas list. I always work in a few books I want, but I usually also ask for a few book-related items, especially clothes. I love seeing other people sporting symbols or phrases that reference books we have in common so, understandably, I also get a kick out of wearing my own references, especially when someone gets it and mentions it. Out Of Print Clothing has so many things I want. I got a Gatsby sweatshirt for Christmas a few years ago and it is still my favorite thing to wear in the winter. It’s survived many washes and even more wears and is so warm, so now that I know that the quality is top notch, I’m asking for more. One of the books I want is a journal. I’m not much for journaling and I can’t imagine when or whether I’ll find time for this, but I’ve been feeling strangely negative lately and I’m trying to focus on things that will remind me of all the many reasons I have to be blissfully happy. I’ve been writing down two positive interactions I have with students each day, I’m wanting to re-start doing the “daily thankfulness notes” my husband and I did for while, and I think this journal would help, too. It gives a space for morning gratitude and hopefulness, as well as nightly ruminations and determination. I’ve read all of Dan Brown’s books. I don’t know why, but for some reason, to admit that I enjoy Dan Brown feels a bit cheap, like when someone says their favorite books are the mass-produced, non-imaginative, “change a few details and crank out another sub-par thriller novel” books that fly off the shelves at libraries. 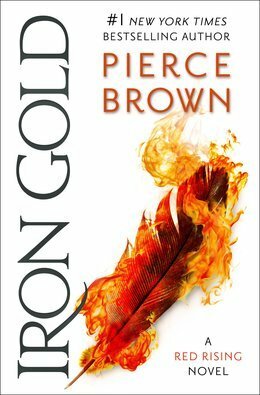 Yes, Brown’s books have similar vibes, but that’s because they focus on the same protagonist. Yes, they have been turned into blockbuster films with my main man, Tom Hanks, which means they’re mainstream. Yes, some “facts” are fudged or completely fake. SO WHAT?? Every time I read a Brown novel , you can just color me entertained. I want these for obvious reasons. One awesome thing we did last year was finish the school year with a research unit where students present on a hero of their choosing. I am so blessed to have some beautiful, brilliant independent young women in my classes and I think these would be a delight for me to read, but even more of a delight to pass along to the right young reader (male or female). So, what did you ask for for this holiday season? Any other book-related requests out there? I love seeing what others ask for, especially since I’ll probably add them all to my wish list for future years! I’m getting ready to embark on a HUGE project. As I mentioned in a recent post about my distracted mindset, my hubby and I bought a house in October. She’s a beaut and I adore her in every way, but let me be quite clear that she’s a work in progress. Since we moved in over my school’s Thanksgiving Break with Winter Break quickly to follow, there was a lot of time at the onset for our amateur renovations. We managed to sand, paint, screw, and redecorate our way through renovations of the kitchen and hallway bathroom. We LOVE these renovations and, while our style choices may not appeal to everyone, we can’t be bothered to care, because they appeal greatly to us! Wood on wood on wood. Can you tell that gray + white is our jam? Anyway, like I said, all our improvements happened right after move in and for the last few months, we’ve made additional plans for other aspirations. The one we’ve decided to try to tackle over Spring Break is updating the exterior of our home. Red Brick is the style for most people on our street, but I cannot claim to like red brick. I know the value of it and I appreciate the low-maintenance upkeep and durability, but I just don’t like red. I reached out to my aunt for help with the landscaping plans, so before I pay trillions and break my back planting beautiful, green things, we’re giving the red brick a makeover via German Smear. Now, first things first, I know this has nothing to do with books. So what? My blog. I looked up a lot of websites about the process and most of them seemed helpful but I’m worried my experience will reveal some hidden truths. So, in the interest of authenticity, I decided that I will relate my thoughts on this endeavor by doing multiple installments of my thoughts and experiences: pre-, mid-, and post-project. The original plan was to Limewash, not German Smear. However, despite how many true crime podcasts I listen to, I didn’t know that the purchase of lime is strictly monitored due to its common use in quick decomposition, so it turns out that lime is relatively inaccessible and expensive (compared to the $30 cost we expected based on the LIES Pinterest tells me). So, the plan has changed to German Smear, largely supported by some promising how-to blogs and the all-knowing Bob Vila. I have no delusions about what a large endeavor this will be for the hubby and me to do ourselves. However, we are die-hard DIY-ers and we’re painfully cheap, so we’ve committed our last 3 days of Spring Break to completing this project. Let the fun begin! Future Lindsay, here. I’ve now spent several hours over the last few days working on our Smearing. My back is killing me and my right arm is full-on throbbing. Oh well. Because I didn’t want to dive in and do my “learning” on the house exterior itself, I started in our sunken sun-room. This room was added onto the house and is home to a brick-encased gas fireplace. I used this as my trial space, as well as the brick wall that used to be the exterior wall but now is the adjoining wall. Since this was my first attempt at it, it was slow-going. I was hopeful that the process would quicken once I got outside and was able to be less cautious about floors/trims. Upon finishing the fireplace and interior wall on Friday, I spent Saturday starting on the exterior of our home. We’re starting in the back so that we can work as slowly as our schedules allow without having a partially complete look visible to the road. We have the most delightful covered porch, which was where I started. Once I was past that porch, I needed help from the brave, ladder-ready, high-reaching hubby. I left that last corner to him. This seemingly small section of brick took 3 hours of solo effort (while listening to back-to-back episodes of “My Favorite Murder,” so it was a pleasure). Sunday was spent similarly, working on the other side of the sun-room. Again, hours of work spent on precious little space. All of the brick on the back of the house is done! There’s no way in the fiery depths of Hell we’ll be done this weekend. Or next. Maybe even the next. The hubs has been navigating his own stuff lately, what with his own school and a night job, so I did all the work this weekend by myself. I spent several hours each day and feel like I made NO PROGRESS, but that’s just because I’m dramatic. I made plenty of progress and will make more when one becomes two. Go into it knowing what look you want. I know most people associate German Smear with that one episode of “Fixer Upper,” but that is NOT the look we want. We want almost full coverage with lots of texture; we’re lucky we have a variety of brick colors already, since we LOVE GRAY and the gray bricks add variety. We have no plans to scrub off or expose any of the brick after smearing. Only make as much mortar wash as you can use in one “session.” Nobody on any of the how-to sites mentioned that this stuff is technically cement. I should have put this together, no doubt, but I did not. I almost lost my bucket and stirrer thing to hardened smear I hoped to be able to use the next day. Alas, it was wasted. Now we make less at a time or just work until we finish the bucket. Add the mortar to the water. I tried it the other way around and it was just like clumpy cake mix that never fully integrates. A natural bristle broom head is my weapon of choice. Others use a mortar brush or a mortar sponge, or even just their gloved hands. We have brick that is more porous and textured than usual, so I’ve found that my hands are taking quite the beating; I reserve my gloved hands for small spaces, edges, and corners. Otherwise, I use the broom head. Works like a charm. Also durable elbow-length gloves are my VIP. Honorable Mention goes out to the mixer/stirrer attachment for my drill. Without you, I’d be lost. A “honey” texture is too high maintenance. That’s what I used on the fireplace in the above pictures, and you can see how thick the coverage is. As I’m working, I’ve decided that “batter” is better. This all depends on the finish you want, of course, but the thicker the mixture, the less it spreads, so not only does it take twice as long to apply, but it also uses twice as much smear and is twice as thick in terms of coverage. We want light coverage, meaning we can still see the variance in brick colors but without any shades of red, so “batter” is better for us. It may be too early to say, but pressure-washing and wetting the brick before smearing isn’t, like, THE most important thing. The hubs pressure-washed the back wall and it hasn’t really done much to help. Similarly, I saw a lot of people say you *MUST* wet the brick before applying the mortar wash. I’ve forgotten over big swaths of wall and see literally no difference, as of yet. So, I’m going to get back to work and Future Lindsay will update you soon with the end results! Way Future Lindsay, here and HOLY. GUAC. AMOLE. That took forever, y’all. This is not hyperbole, but I literally spent HOURS on this *ish* and I’m so over it! In fact, there is still one small, unfinished side of the house that isn’t visible to anyone other than one neighbor and I’m in no rush to finish it because it looks finished from where I’m standing, ifyaknowwhatImean?!?!? In all honesty, I’ve spent over 22 collective hours (plus 3 to 5 expected on that DARNED unfinished portion) German Smearing my home and don’t forget to add more hours for painting trim, shutters, doors, et al. I mentioned earlier that I started over Spring Break, which was in early March, and it is now the end of May, so take that as you will. All of the lessons I mentioned above are important, no doubt, but I think the most important lesson is LOOK AT YOUR BRICK! NOT ALL BRICK IS CREATED EQUALLY! Okay, I knew the brick on my home was fugly, but its true uniqueness didn’t really hit home until it was way too late to turn back. Our brick is not only ugly because of the wild variations in color, but also because of the wild texture. This is not smooth brick; this brick has many a nook and cranny, which made each smear a genuine arm workout. My bis and tris are truly gettin’ at it these days. I also got a friction blister on the tip of my thumb and let this be a PSA that you need to appreciate the tip of your thumb before you lose it, okay?! We wore down (to little stumps) three natural-bristle brushes (again, the texture of our brick is unparalleled) and went through at least 4 or 5 bags of mortar. This means that everything Pinterest says is a lie and you can’t trust anyone, including me! What do I know?!? Anyway, our property and belongings are spattered with drops of cement, meaning that our stepladder has barnacle-like permanent accumulations on the steps and handle and we’re thankful that we’re re-doing our landscaping because our shrubs are lazy with cement droplets. Now, what we’ve all been waiting for, AFTER PICTURES!! None of the pictures I take give enough credit to how bright the front door is. Our visitors have commented on the awesome door color, and I have to give that credit to Brice. The shutters and trim are a nice Olive Green and all rust-colored trim is now dark gray. Thus, unintentionally, the gray/white obsession evident in our kitchen and bathroom continues! A few neighbors have stopped by while we’re outside working to tell us how good it looks and I must say that I agree. We still need to paint the rust-colored addition and porch in the back, but the front looks done enough for me to be happy and proud of us! This week I went to sign my contract for my new job and fulfill some county training. While I did totally pay attention and no one can claim otherwise, I will admit that my brain was constantly thinking of items that I need to get for my classroom. While we were instructed about the hazards of overloading and outlets, I noted that I need like four power strips. While being told to be cautious about securing cleaning solutions out of student reach, I jotted down a desperate need for an endless supply of Clorox wipes. It made me think about all the many things I may not realize that I need. Whether these are things for a brand new classroom that I’ll need to stock to levels of functioning, or if they’re just secret tools of the trade which are known only to seasoned veterans, I need to know about them! So let’s think about what all I know I need and then I can “poll the audience” to see what I’m missing! Let’s talk logistics. My classroom is a rectangle of four walls (obvs), but they’re made of plaster (god only knows why), which poses a problem in terms of being allowed to hang things. The “front” wall has the smart board and two white boards plus some empty wall space on either end, the “back” wall is all windows, and the two small walls are empty space. I’m restricted to painter’s tape should I want to hang anything, so I need that. Each of the four walls has one outlet station (with two or four outlets each, I forget). That’s right. ONE outlet spot per wall. So obviously, power strips are a necessity in the highest. Also, I’ll have 5 classes with at least 32 students in each, so I’ll see over 150 kids every day. This means clorox wipes, kleenex, hand sanitizer, and all other germ deterrents are mucho necessito. I’m fortunate in that my school will provide most basic classroom supplies (pencils, paper, index cards, post-its, etc. ), but one thing I consider to be a basic necessity, which isn’t usually provided by the school, is a set of anchor charts with sticky adhesive on each page. They’re like giant post-its and are as versatile as their smaller counterparts. NEED!! I am cold-natured. I get cold easily and often. The blessed thing about schools is that they keep the temperature low in order to deter the spreading of diseases, a courtesy for which I am most grateful. However, that means that I am FREAKING COLD for at least 40 hours a week, a fact which I cannot abide. Long story short: I need a space heater for my little tootsies. Similarly, I like a warm drink in the morning as my good-for-you-for-getting-up-so-early reward. Thus, I need a(nother) candle warmer (I already have one but it must stay home for my weekend tea). Has anyone else realized that those things keep your drink at the perfect temperature?!?! Lastly, I simply must have plants in my classroom. Back in the dark ages when I worked as an accountant, my cubicle resembled Fern Gully in the best possible way and I intend to continue that trend in my classroom. Must have Pothos!! I am going to try to avoid fluorescent lights. Thus, I need some good cheap lamps. I found a couple at Goodwill yesterday and they were bulbous and baby pink with dusty, gross shades, but they were $5 each so I got them and bought some new shades and spray paint. They’re in the midst of a renovation. I’m also looking for cheap, comfy chairs so that I can include some alternative seating options in the classroom. Now, this is year one so I’m not going balls-to-the-walls by making everything about my classroom an “alternative option,” but I would like to go ahead and start a collection so I can incorporate it slowly over time. I’m also way into book talks, so I got some small book easels on Amazon so I can feature new or relevant books each week. I spent the past few days obsessing over my classroom library. I realized that the time off that I have now will be a thing of the past in a few short weeks, so I need to get done as many things as possible so that my transition into the classroom is fluid. Thus, I took down all my books (totaling over 150 at this point, and always growing), entered each ISBN into my Classroom Booksource account, stamped each with the embosser Hannah gave me, wrote my name on the top of each book, listed each (categorized by genre) on a master Google Doc., made colored genre labels, and put the corresponding colored sticker on each book. If it isn’t clear, this took days to complete and it messed up my living room, but with the hubby away, the wifey will organize/label/categorize/inventory. That’s the old saying, right? So, here is my question to you: what am I missing? What did I forget or overlook? Maybe you’re a teacher and you see a glaring error in my preparation. Or perhaps you aren’t a teacher, but you remember something a teacher has done that stuck out in your memory. Did you play games that made your learning fun? Was there one poster that captured your attention? Or maybe on the other end of things, was there something that was highly distracting or discouraging for you, the student? Any insights won’t just help me, they’ll help my students! Thanks and looking forward to what everyone has to say! We were nominated by the lovely Carrianne at Cuppa n’ Critiques. If you aren’t already following her, do so now; she’s a delight. Thanks for the nom, Carrianne! We are certifiably obsessed with all things Harry Potter, so this has been a real treat! Apparently, the only rule for this tag is that you don’t use HP books as your answers, which is a solid rule, since I answer all questions with HP references. Leh go! A book where you found the theme interesting , but you’d like to rewrite it. I actually answered all the other questions before this one, since I was having a hard time thinking of one, but now I know my answer. And I Darken by Kiersten White was just not at all as good as it could have been with a few tweaks. A little more Dracula here (I know, I know), a little fewer feelings there, and it could’ve been good! The first book in a series that got you hooked. I’m trying really hard not to answer this one as Red Rising, since my love affair with that series is more than clear by now. Hmmm… what else? 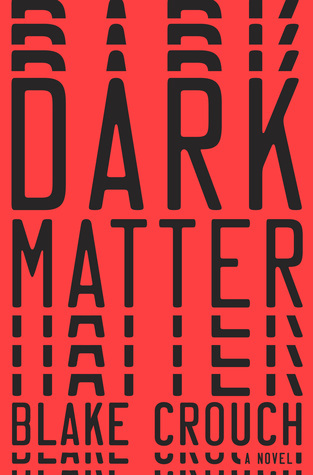 Illuminae, of course! My original review is linked here, but suffice it to say that I am fully invested and Gemina was also a home run! A book you wish you could have right now. See below for answers that will surprise exactly 0% of readers. A killer book. Both senses. Take it as you like. OMG I so wish that there was a book version of “Forensic Files.” Every chapter is a new murder mystery?! Please. Gimmie. 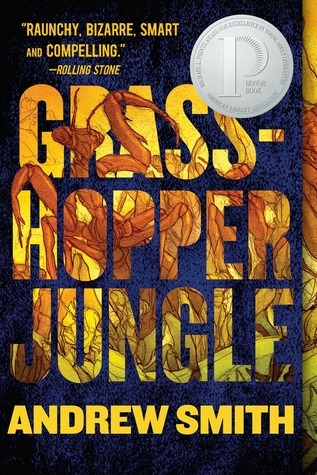 Since I don’t know of such a book, I think I’ll list Grasshopper Jungle. Don’t worry, no spoilers, but it is indeed KILLER! Original review here. A book that you found really confusing. The story of Kullervo has been sitting on my nightstand for months. I started it and immediately got confused since, and I kept count, there are (so far) seven names being used for the same character. Tolkien is just plugging along and then all of a sudden, Kullervo is called Sakehoto, then Saki, then Sari, then Kullervo Kalervanpoika… and did I mention that that count is only 16 pages in? This sounds ridiculous, but I’m a ridiculous person, so no shame. Honestly, I think SWEET has been the most recent, non-HP or Red Rising book that has spoken to my heart. It is absurd and comical, it doesn’t take itself too seriously, and it has important things to say, just like me. Original review here. Oh my GOD, I love dark & twisted! Hannah and I both love everything creepy, so imagine my surprise when I have to look back pages and pages on my Goodreads before I find an adequately creep-tastic book. For that reason, I’m listing books that I plan to read in order to get live life always in the Halloween spirit. A book that surprised you in a great way, reveals to be more than it is. I think this one only surprised me because I had little to no expectations and it was just an utter delight. 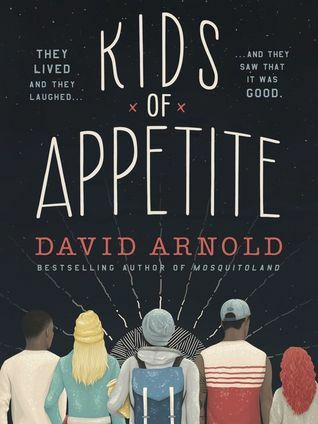 Profound, challenging, uplifting, and enlightening, Kids of Appetite was one of those books that just sticks with you, you know? Now for the nominations! Please excuse us if any of you have already completed this tag. We just want to spread the Harry Potter love!! Much like Dobby, Lindsay is free! I’ve graduated from my Master’s program; I’ve been offered a teaching position (about which I am jazzed); I have a summer job in the meantime. Currently, I have no homework, no “I should be working on *insert school task here. *” I don’t remember the last time I had my life together to this degree and I just needed a moment to bask and brag. Okay, now that that’s out of the way, let’s talk about the books I plan to devour this summer! My Goodreads challenge goal was to complete 52 books this year, or roughly one per week. I’m currently making slow progress on a rather voluptuous tome, so the progress is slow-going at the moment, but I hope to complete at least 10 books in the 12ish weeks of summer. This list is not a promise, but more so a projection; thus, it is subject to change if a more enticing option presents itself, but I will try at least to maintain (some) variety. Winger – Andrew Smith: I made a promise that I will read this one at some point this year on my New Year’s Recommendations post. It feels like all my MAT cohort-mates have read it and loved it, and I need to get more “bro books” under my belt. Feels like a summer read to me! 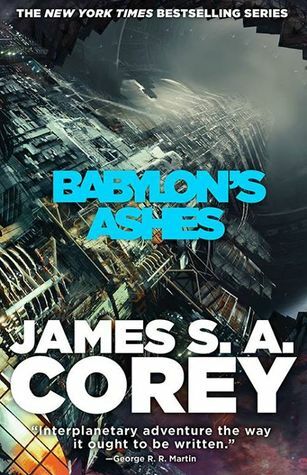 Babylon’s Ashes – James S. A. Corey: No surprise here. I remain obsessed with the Expanse Series and, whereas all my other copies are paperbacks, I recently broke down and bought the hardcover copy of Book 6 cuz I NEEDS IT NOW!! Needless to say, starting with this one. 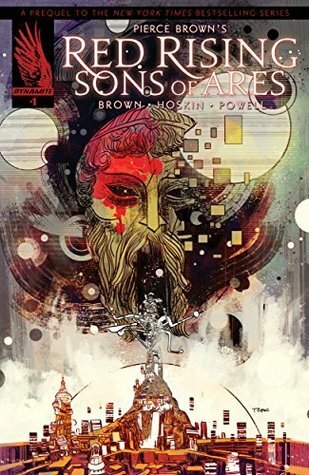 Sons of Ares – Pierce Brown: Again, hold your surprise. Wherever Pierce goes, I go. This one is a comic book, so it is proving to be allusive and I will ultimately have to order it online since none of my local book stores or comic shops have it. Wassup with that?? 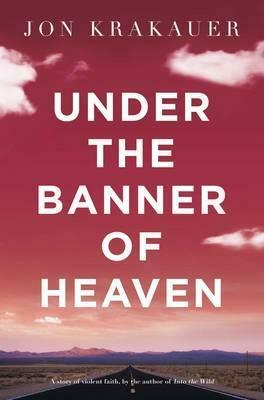 Under the Banner of Heaven – Jon Krakauer: Krakauer is another author I’ll follow to the ends of the Earth. I need to get more nonfiction under my belt, and I already know I like Krakauer’s style and the subject matter sounds fascinating, so count me in. 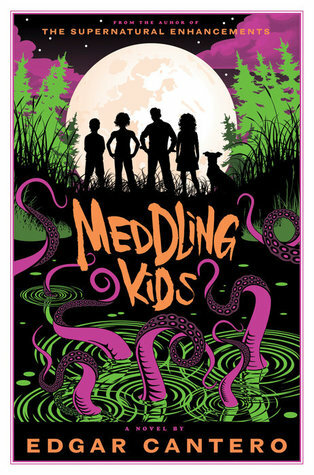 Meddling Kids – Edgar Cantero: From what I can tell, this one is a spin off of Scooby-Doo, which was my lifeblood as a kid (and still today). This one could have been written FOR ME or could be the most insulting thing I’ve ever read. I have high hopes, since I found it in my endless search for scary books. Like, I want some real horror! Is that so much to ask?! It’ll be published in July, so I have time to psyche myself up for some good ol’ Mystery Gang fun. 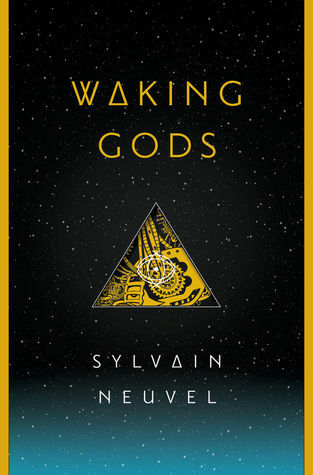 Waking Gods – Sylvain Neuvel: This is the sequal to Sleeping Giants, which I read around this time last year and really enjoyed. We all know I’m a scifi junkie, so this one is purely for my enjoyment and I cannot wait. 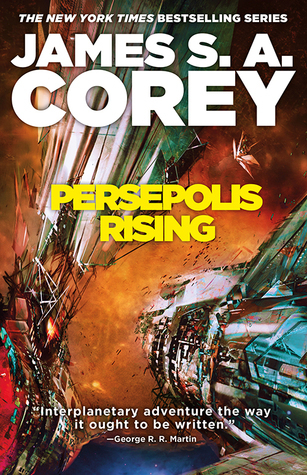 As a matter of fact, I think I’ll go grab a copy today so the motivation to read it can propel me through Babylon’s Ashes even faster! 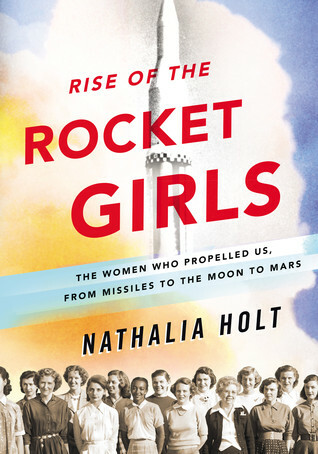 Rise of the Rocket Girls – Nathalia Holt: Again, my attempt to intake more nonfiction leads me to this text. It sounds remarkably similar to Hidden Figures but I’ve heard that Hidden Figures is actually rather boring (I haven’t read it, so this is just hearsay), so I think I’ll give this one a try. Sounds empowering! 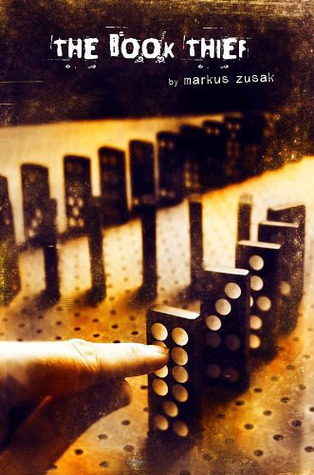 The Book Thief – Markus Zusak: I assume it will surprise everyone that I haven’t read this. I’m known to devour WWII literature and this one had its hayday recently when it became a movie. I didn’t see that either, so I’m blissfully ignorant of the details and will now consume it. 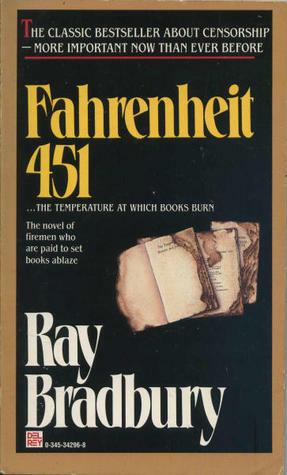 Fahrenheit 451 – Ray Bradbury: I don’t know how I went this long without reading this, but I need to now. I love Bradbury, so I’m optimistic. Classics revival! I’d love to know what everyone else is reading this summer. Any thoughts on my choices? Replacement options? Comment or link so I can see what everyone is up to and maybe even make some swaps.